On this day in history in 1874, Charles Lightoller was born. Charles Lightoller was the English 2nd officer on board the infamous unsinkable ship that sank, the RMS Titanic. 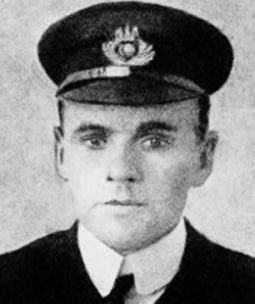 Lightoller was the most senior officer of the Titanic to survive the ship's sinking. He was the officer in charge of loading the passengers into lifeboats. And enforced the "Women and Children First" policy. In fact, he went a lot further than that, and enforced his own "Women and Children ONLY" policy. He actually lowered lifeboats into the water with empty seats, even though there were no women or children to board them, and when there were men waiting. Lightoller only permitted one adult male passenger to board a lifeboat. His name was Arthur Godfrey Peuchen, who had experience sailing and could help the women navigate their craft. Lightoller himself survived, but almost didn't. As the Titanic disappeared beneath the waves, Lightoller was sucked against a grate, being held there by the pressure of the water as the ship sank. A rush of water burst through the grate when the boiler exploded. He was catapulted into the ocean where he swam to a capsized collapsible boat. He gripped the boat, along with 30 others, until they were finally rescued. 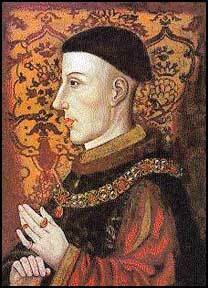 On this day in history in 1413, Henry V became King of England. King Henry V became King of England after his father, Henry IV, died suddenly of not-alive-no-more. 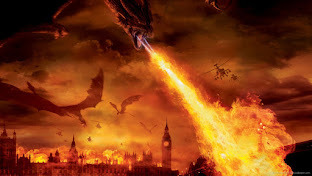 The new King of England was crowned in a magnificent ceremony at Westminster Abbey on the 9th of April. Nothing can compare to the coronation of a medieval king. Apart from the king's eyes. "They flashed from the mildness of a dove's to the brilliance of a lion's."